Last edited by Appleich; December 3rd, 2018 at 02:19 AM. Thailand Board of Investment (BoI) has developed two strategies to attract investment, including the development of the Kingdom's rail system and the construction of a tourist port for cruise tourism. “Prime Minister Prayut Chan-o-cha stated that he wants the BoI to support both foreign and domestic investment into the country’s rail system,” BoI secretary-general, Duangjai Asawachintachit, said at a press conference after a BoI meeting with the Prime Minister. Under the BoI investment package, business projects concerning the rail system and related sectors that apply for BoI promotions by December, 2021, will receive a tax reduction of 50 per cent for three to five years, she said. 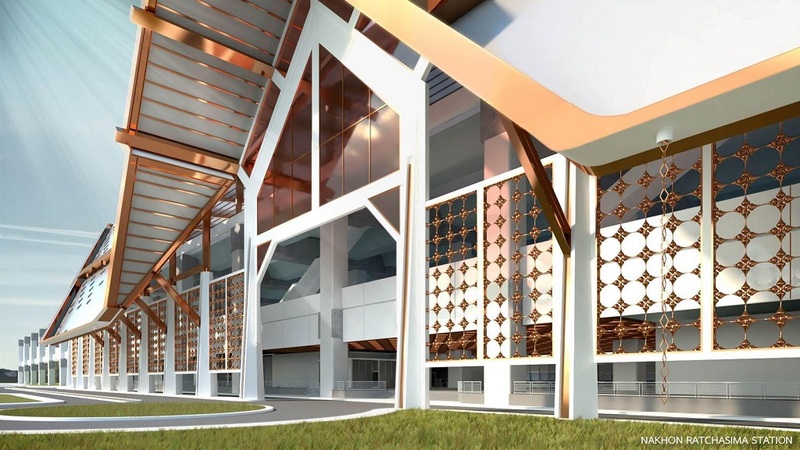 Projects that are located in the northeastern region of Thailand such as Korat and Khonkaen province and surrounding areas, will receive the tax reduction for five years, she said. Duangjai also said that the BoI is looking to encourage investment in the construction of Thailand’s own train assembly factory as it will help reduce the burden on the country’s imports. “Research suggests that in order to make the construction of a train factory financially sound, there needs to be sufficient demand in the country and the factory will have to assemble at least 300 trains per year,” she said. “Seeing that the demand for rail transport is projected to increase significantly throughout all regions in the country, the BoI is looking to support the construction of a train assembly factory.” There are currently 3,600 trains in the Kingdom, including double and single track trains, mass transit trains in Bangkok and high-speed trains. To meet rising demands, Thailand will need to have up to 10,000 trains in the next 20 years, Duangjai said. Foreign investors are interested in our rail system, she said. Recently, the Prime Minister met with the various German investors in the rail sector during his visit to Germany, Duangjai said. The second BoI initiative to attract investment is through the tourism industry. “Another initiative which the BoI will be looking at in 2019 is the potential to introduce cruise tourism businesses into the country,” she said. “In order to develop cruise tourism, we will first have to invest in constructing a tourist port which will welcome tourist cruises. “Cruise tourism is a promising industry for Thailand as it brings in high-quality tourists that come in large volume. “We have set a criteria for projects to invest in the construction of a tourist port to have a value of at least Bt100 million,” she said. So another +/- 170km to Laos border and +/- 500km to the Malaysian border? Strange to let not any animal into a train carriage, instead, why not opting for animal-free zones for people that take such a nuisance for it, or maybe let passengers pay for dogs like we in the Netherlands do (on a long-distance or suburban train, non-MRT, once they cannot be contained in a compact cage)? Btw, carrying a lot of fruit and more than a few cats or dogs would be strange, it's not a cargo train. searching for a needle in the haystack: keep scrolling! 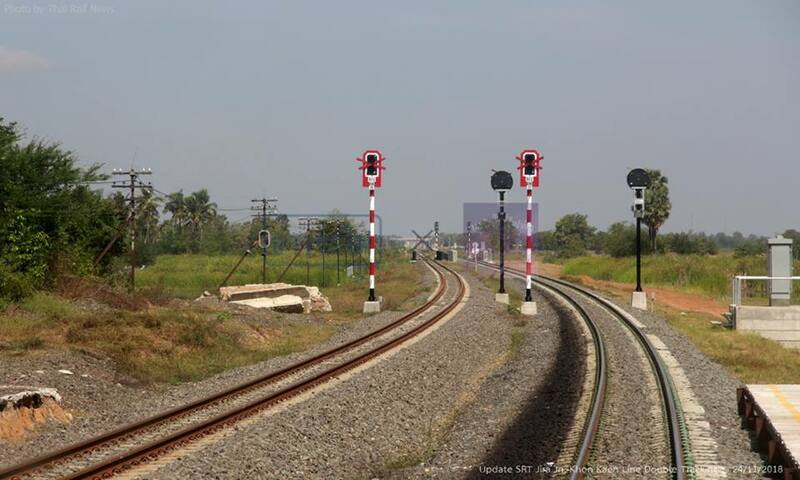 *Unlike other projects, Hat Yai - Padang Besar double-tracking will also include electrification of the line. 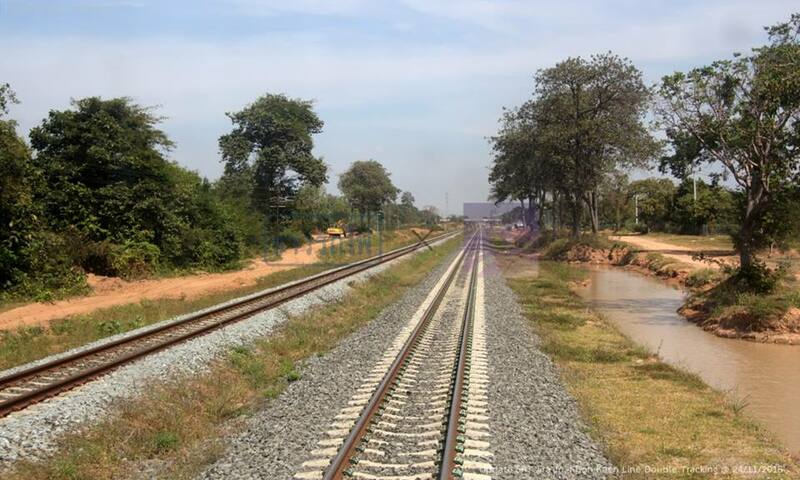 **Den Chai - Chiang Khong line has been approved by the cabinet last year, currently awaits bidding. 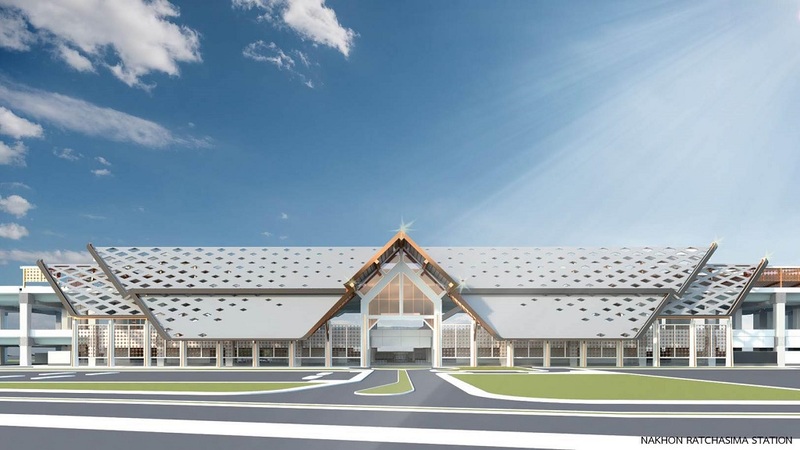 SRT expects the projects to win approval from National Economic and Social Development Board (NESDB) before it went through the cabinet and then the bidding process. The remaining projects are expected to be push through later on. Still a long way to go. 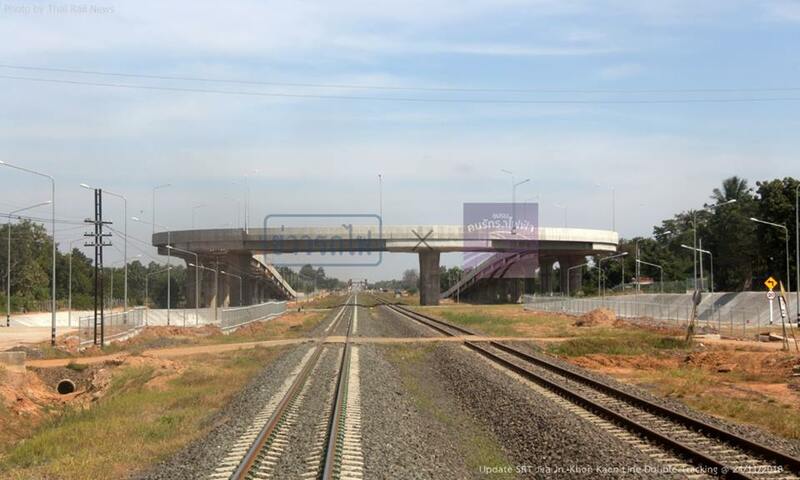 When is the Chiang Mai - Pak Nam Pho 2nd phase double-tracking scheduled to be built? On the previous page of this topic it says the contract should be signed in Q1 of this year. Other lines besides northeastern lines are facing delays. NESDB is clearly not happy if 2nd-phase double-tracking projects will be approved and get built all at once since this would cause huge burden on national budget and public debt management. NESDB wants SRT to strictly follow Ministry of Finance's policy on maintaining financial discipline. SRT now has to rearrange their priority for the moment and chooses to focus on northeastern lines instead. 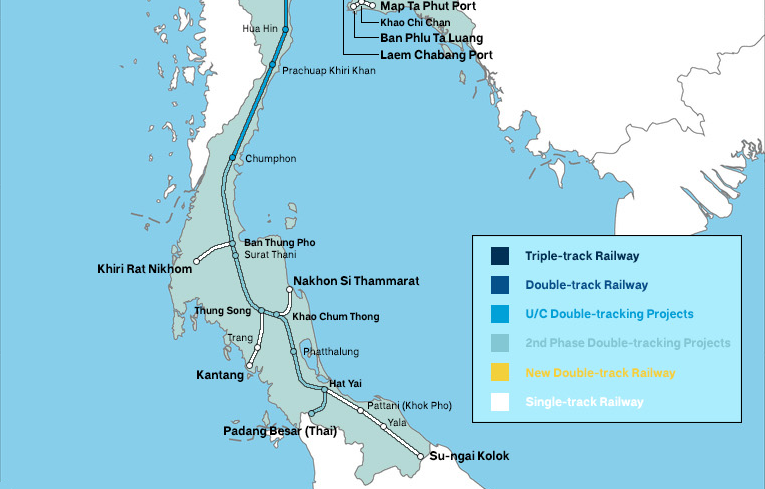 My guess is double-tracking projects from Pak Nam Pho all the way up to Chiang Mai are likely to get built later, after northeastern and southern lines. The State Railway of Thailand (SRT) is pushing ahead with an investment plan to turn railroads within 500 kilometres of Bangkok into an electric system, according to SRT's acting governor Voravuth Mala. 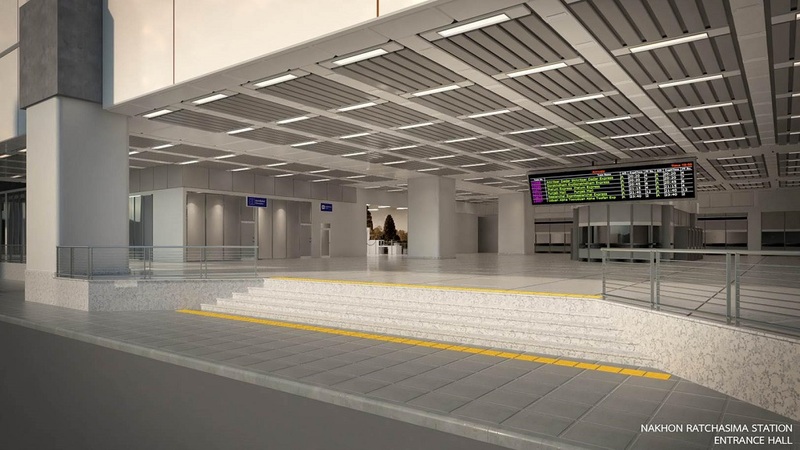 He said the plan for the the rail system around Bangkok to go electric, which is estimated to cost about 30 million baht per km, is divided into two phases involving changes of the signalling system to ETCS (European Train Control System) level 1. 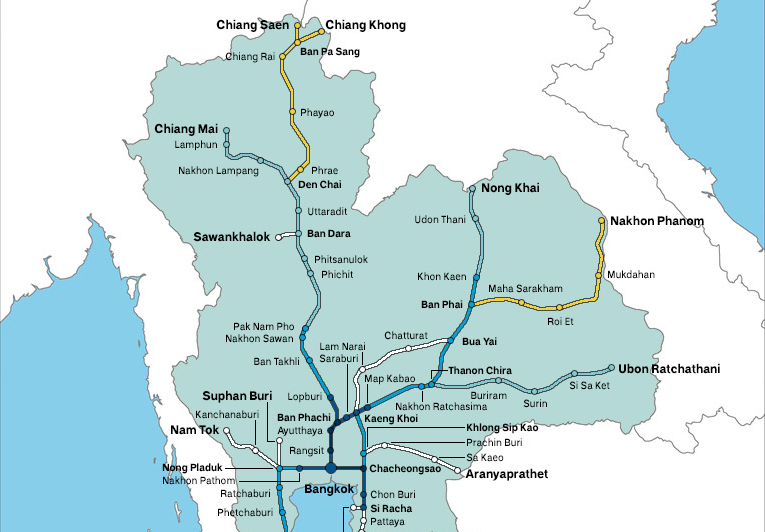 The first phase involves 250km of routes around Bangkok and the second involves the next 250km of rail routes. Mr Voravuth said the SRT will have to replace diesel locomotives with electric engines and diesel multiple unit trains with Electric Multiple Unit rail cars and procurement plans will be drafted in line with the transition. The plan to electrify the railroad is in line with the development of the Red Line's electric commuter rail network being developed by the SRT. 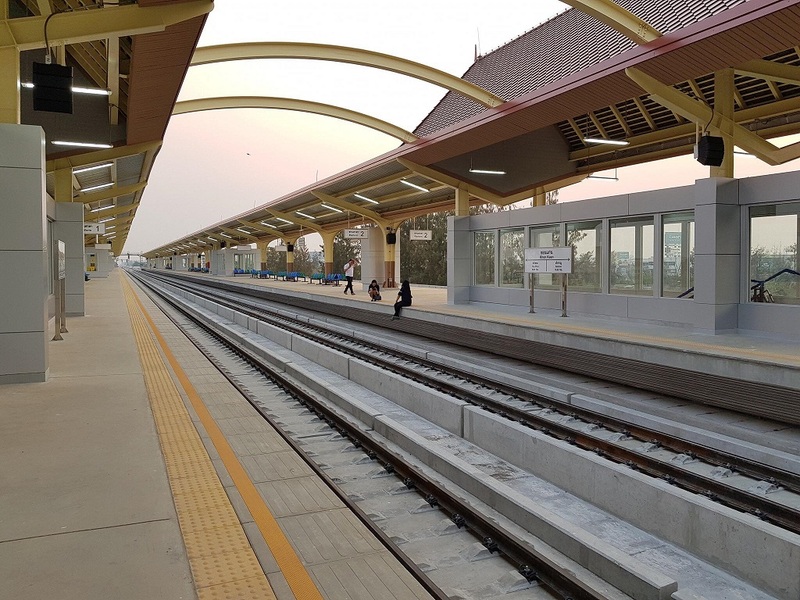 The 26km Bang Sue-Rangsit route with 10 stations will be opened along with the Bang Sue Central Station in early 2021. 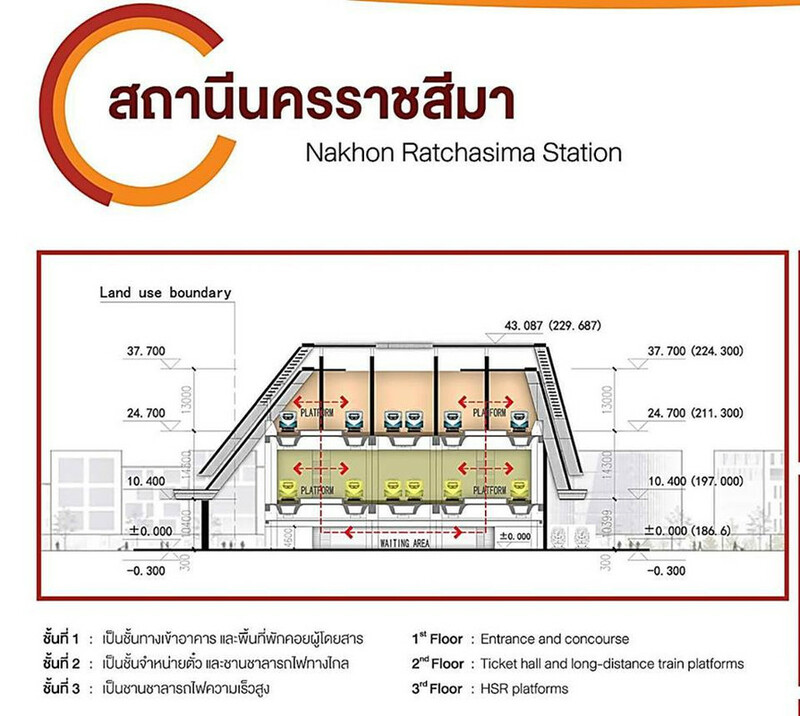 Valued at about 30 billion baht, the station is part of the Red Line's 80-billion-baht network. 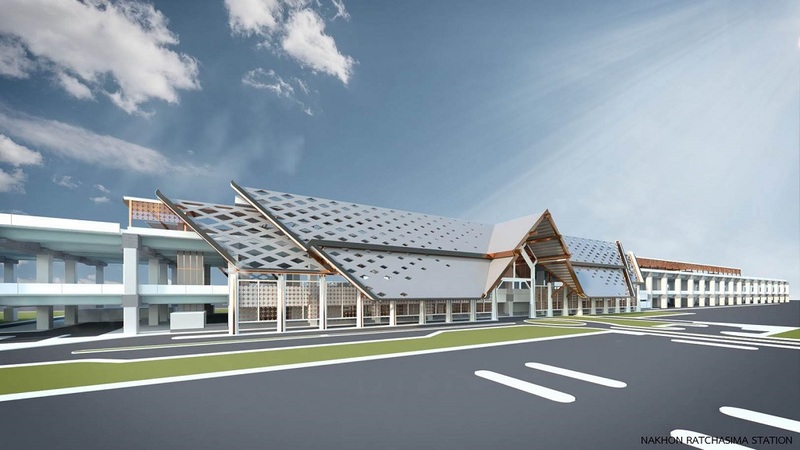 According to Mr Voravuth, the project is expected to break even in two or three years after the commercial launch when the total of daily passengers is estimated to rise to 80,000. 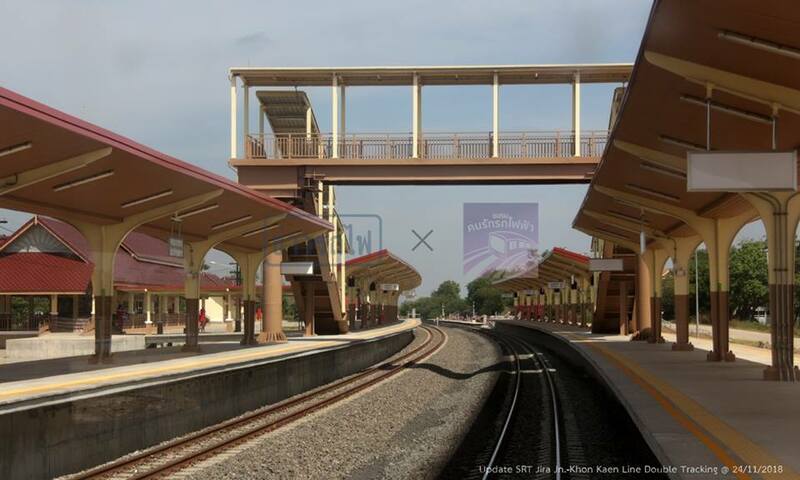 A subsidiary to operate the Red Line network is likely to be set up within two months. Bidding for the planned extension of the Red Line from Rangsit to Thammasat University's Rangsit campus is expected to take place this year and the SRT has a plan to extend the route north to Ban Phachi in Ayutthaya. 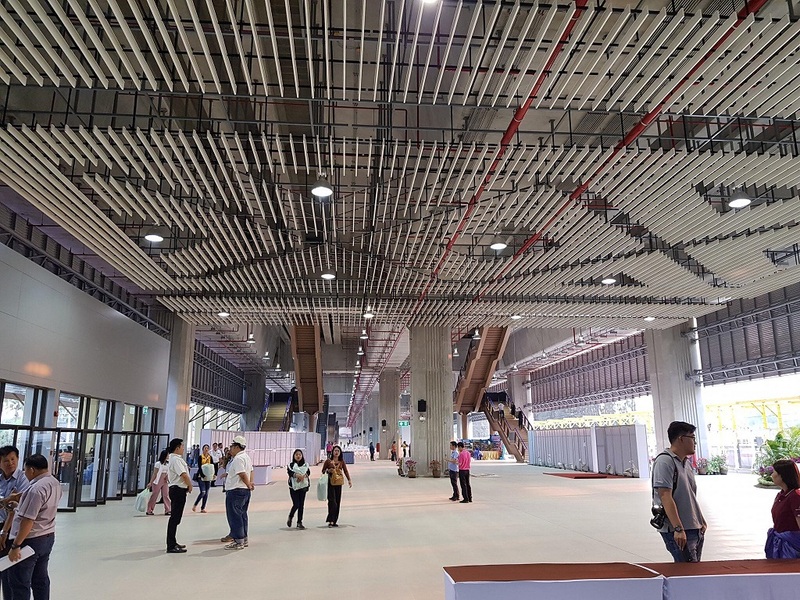 However, he said when the Bang Sue Central Station first opens in 2021, it will serve only the Red Line route while all long-haul and suburban trains running on diesel engines will go to Hua Lamphong station. The SRT will speed up switching from diesel-powered to electric-powered trains and when all routes are transferred to the Bang Sue Central station, Hua Lamphong will be developed into a depot for the Red Line system, he said, adding that the property will be turned into a railway museum or a hotel. Commenting on the SRT's financial heath, Mr Voravuth, who is also deputy governor in charge of asset management, said the rail agency's earnings before interest, taxes, depreciation and amortisation are expected to reach zero in 2023. He said the debt-ridden SRT has rolled out revival plans, debt servicing, and new railway projects to turn the situation. 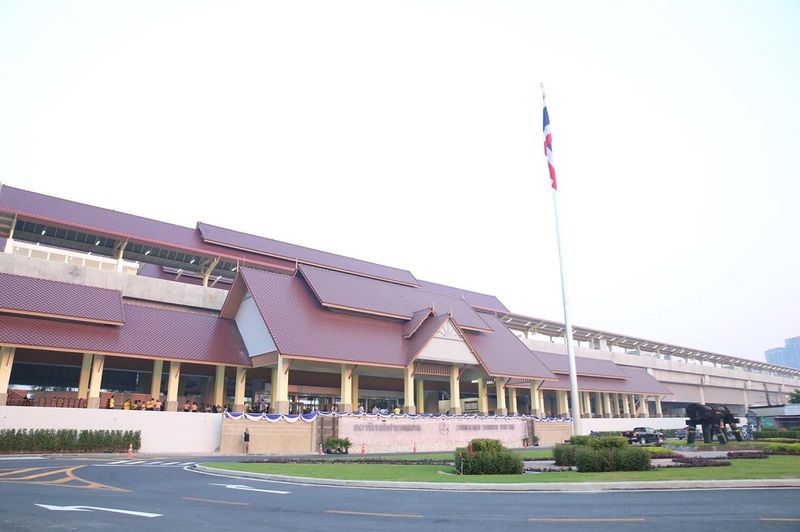 Newly created regulatory body to oversee Thailand's rail transportation. The government also eyes local production of train parts and rolling stocks in the near future. The Rail Department, a newly created body tasked with regulating rail management, is set to begin operations in April. Nathporn Chatusripitak, a spokesman for Deputy Prime Minister Somkid Jatusripitak, who oversees the government’s economic affairs, said the National Legislative Assembly (NLA) approved a draft bill on the Rail Department and it is pending royal endorsement. 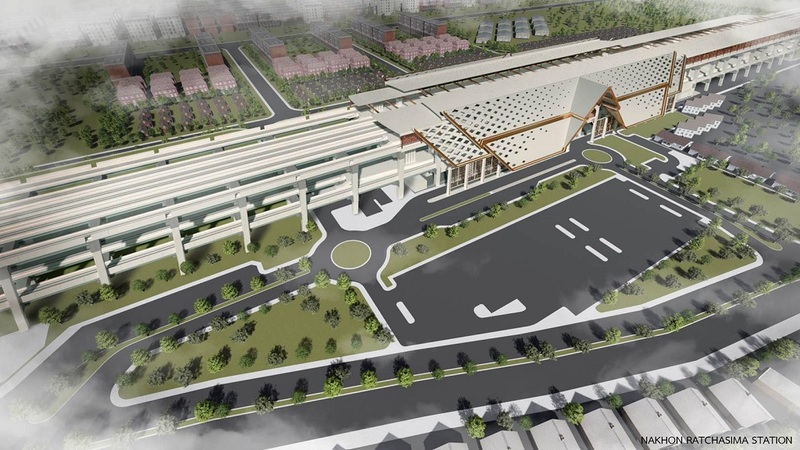 advertising Under the draft bill, the existing Rail Project Development Office under the Transport and Traffic Policy and Planning Office will be upgraded to the Rail Department. The department will function as a policymaker and regulator for overall rail management. “The Rail Department has duties to propose rail-related policy, strategy and development plans for the complete rail network, not only at home but also connectivity with neighbouring countries,” Mr Nathporn said. The department is also tasked with supervising electric rail, double-track rail and high-speed rail to ensure development lives up to international and safety standards; setting fair ticket prices; and upgrading rail services. Mr Nathporn said the State Railway of Thailand and the National Science and Technology Development Agency have reached an agreement to improve Thailand’s parts-making industry for the rail system so that it meets international standards. He said the government will later establish the Institute of Rail Technology Development as a public organisation to conduct research, training and human resource development. The government is encouraging the private sector to manufacture trains, signalling systems and equipment in Thailand, with the goal of increasing competitiveness in the rail industry and reducing train imports. The Board of Investment (BoI) earlier on Jan 11 approved special measures to promote investment in rail and rail-related industries, projecting demand to top 10,000 trains over the next 20 years. Over the next 10 years, plans call for developing a 6,000km network with double-track, electric and high-speed rail. The BoI’s special measures will be offered for making train cars, significant parts of the operator’s cab, signalling and braking systems, couplers, rails and power supply. Under the special measures, investment in train cars with domestic engineering designs will be entitled to a corporate income tax exemption for eight years. Interested parties who submit applications to the BoI by Dec 30, 2021 will be granted a 50% reduction in corporate income tax for three to five years. The measure aims to accelerate investment within three years. 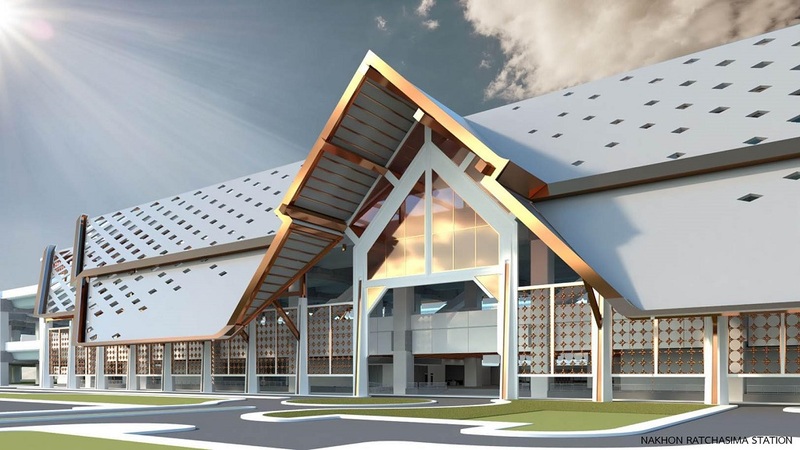 Projects with factories in Khon Kaen and Nakhon Ratchasima will be afforded a 50% reduction in corporate income tax for five years. Last edited by Appleich; February 17th, 2019 at 03:35 AM. Location: Along the Rails of North Jersey..
Any plans to electrify down to the Malaysian border? Yes, there is. 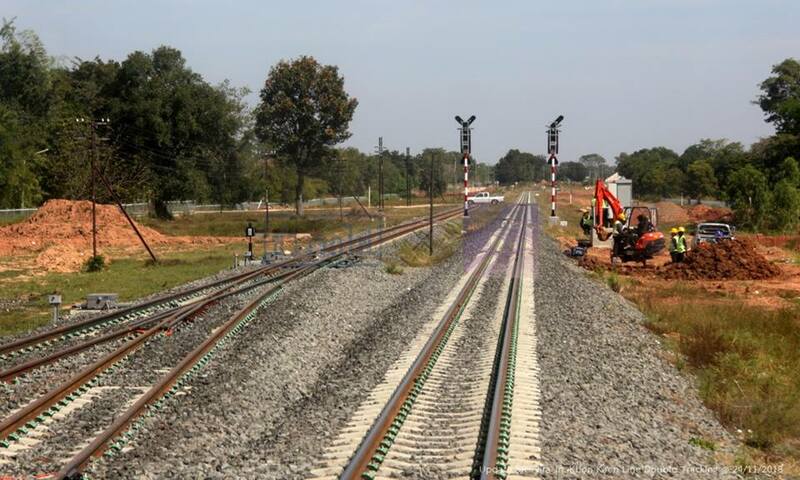 Hat Yai - Padang Besar will be the first section to be electrified. 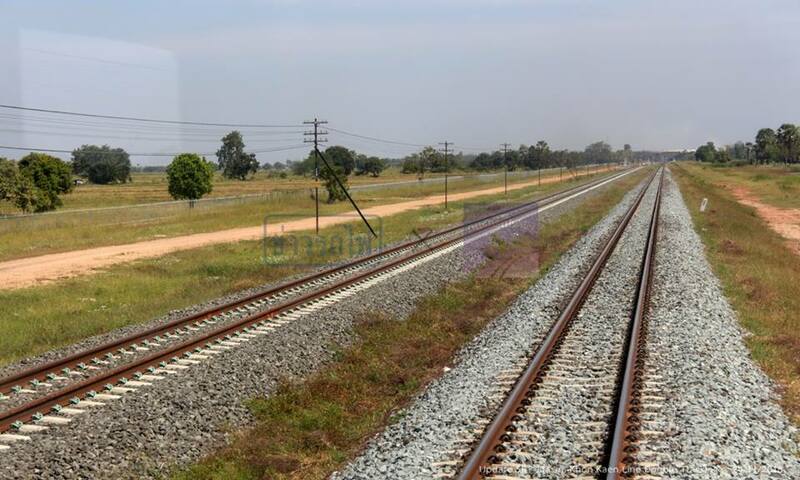 The State Railway of Thailand (SRT) is banking on the opening of new parallel tracks between Nakhon Ratchasima and Khon Kaen attracting more passengers and lifting revenue. 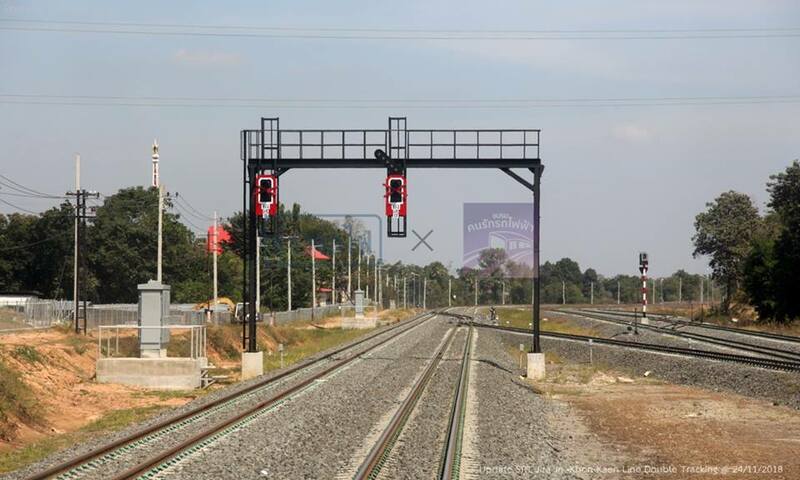 The 187 kilometre dual track between Jira Junction in Muang district of Nakhon Ratchasima and Khon Kaen city was opened on Wednesday. 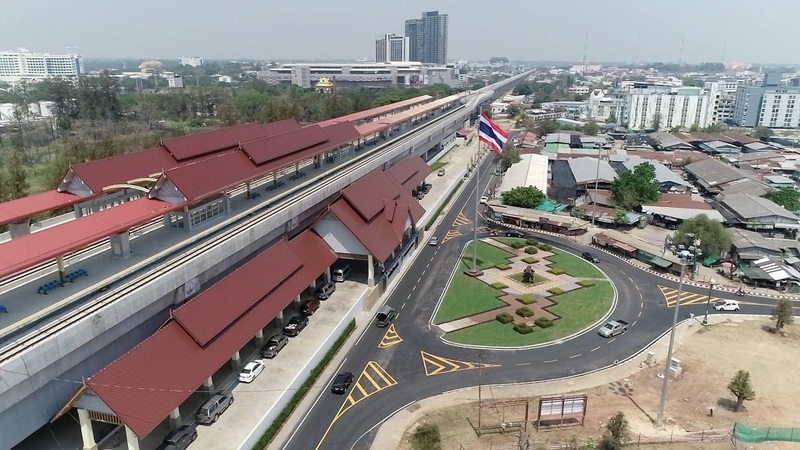 It was marked by the opening of the new Khon Kaen station, the first elevated railway station in the northeastern region, celebrating the completion of construction of the dual track on this sector. 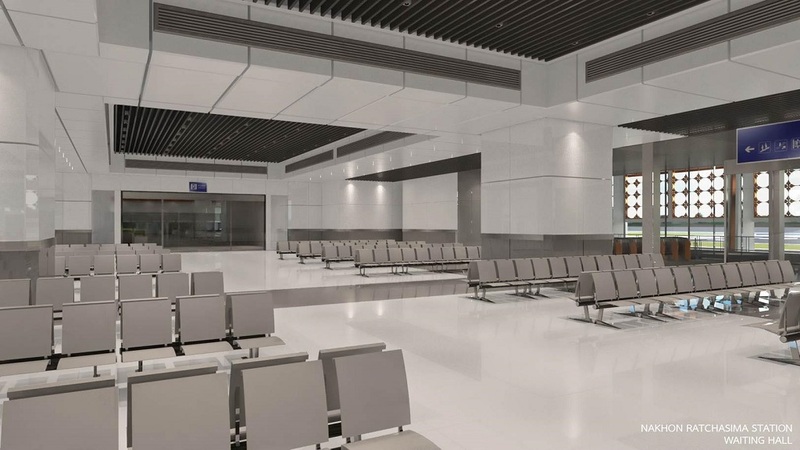 Work started in 2016, with total investment of 23 billion baht. It slashes travelling time between the two cities by more than half - from three hours to one hour and 20 minutes. It ends delays caused by trains having to wait at stations for another one travelling in the opposition direction to pass on the single track. Freight trains running on this sector of the northeastern line will also benefit, with travel time shortened from six hours to two hours and 30 minutes. 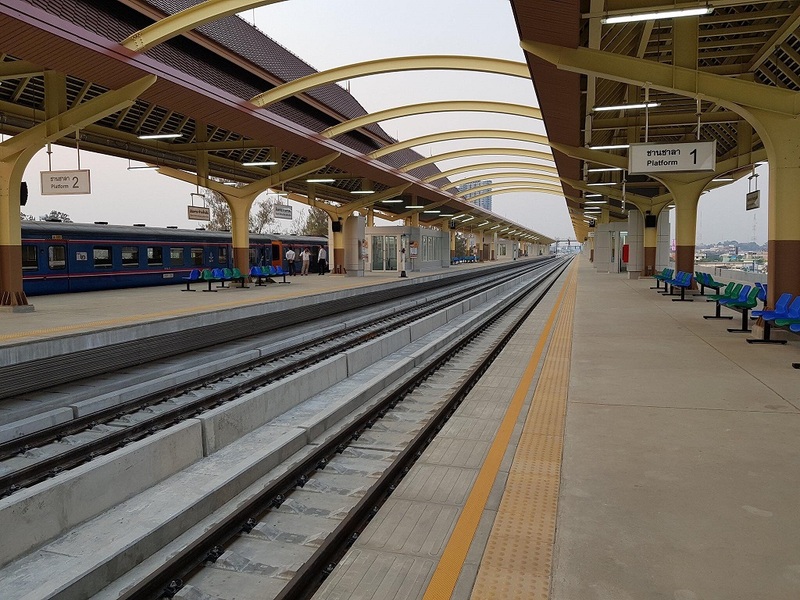 "The opening of the dual track service from Jira Junction to Khon Kaen will serve 10 million passengers a year, up from two million at present," SRT deputy governor Worawut Mala predicted at the opening ceremony. Slashing travel time by half is really impressive, but how was that accomplished? Just by eliminating delays? Sounds a lot. Perhaps line speed was increased too. The average speed with 1:20 on 187km is a whopping 130kph, it seems highly unlikely to me for metre gauge, even with a max speed of 140kph that's totally unlikely (even the Thalys in my country barely drives at that average speed, which is an HST). The single-track was 60kph, still very high for single-track metre gauge but still likely with a good planning and straight lines. Likely something went wrong with counting the kilometers and travel times. Currently, lack of adequate track capacity is a major issue in Thai railway system where most of the tracks is single-track. Doubling the track and increasing its capacity helps reducing travel time as trains no longer required to wait at several stations along the journey for another train to pass. These double-tracking projects also reinforce existing tracks, improve signaling system (replacing token block signaling with light/automatic block signaling), fence up the right of way and eliminate all level crossing so that trains can operate at higher speed with no interruptions from cars, commuters, pedestrians, livestock etc. 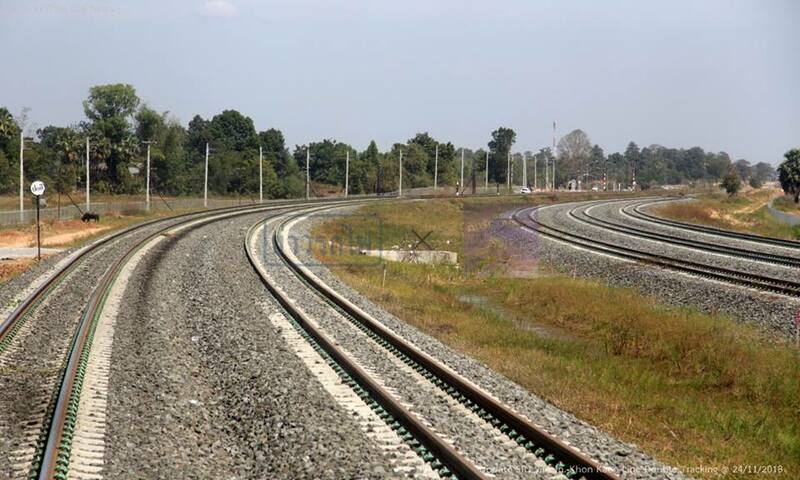 Realignment of curves also allows trains to operate at higher speed as well. The Transport Ministry is planning to set up train assembly plants in the Northeast to ease Thailand's heavy dependence on train imports in a move to slash government spending on new rolling stock 10-fold. 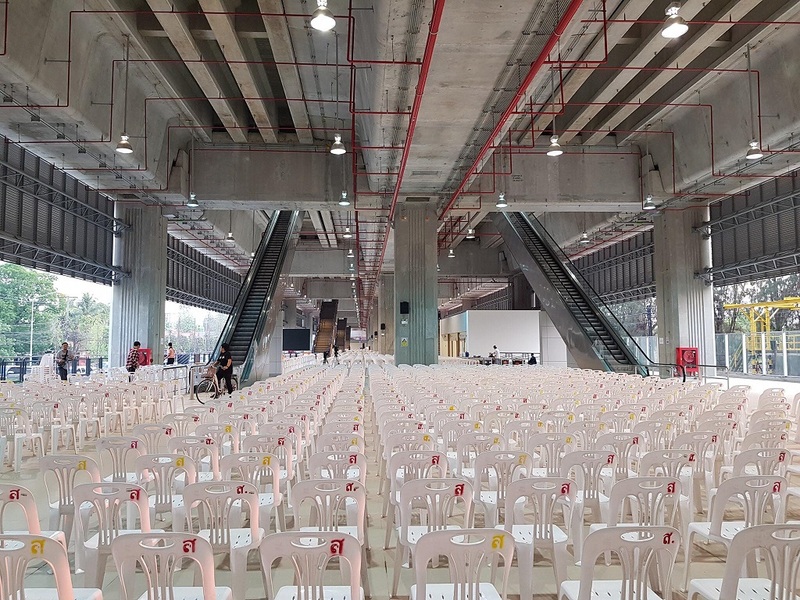 If the ambitious plan is realised, the cost of procuring new trains, which is currently estimated around 70 billion baht, will fall to between 6 and 7 billion baht, Deputy Transport Minister Pailin Chuchottaworn said on Tuesday. The Transport Ministry is working with the Industry Ministry and the Board of Investment to kick start the plan next year. The government expects to build three plants with a yearly production volume of 900 carriages by 2027, Mr Pailin said. Look at that parking lot! Does anybody know something about a train service connecting Trat province? Will there be an extension of the Eastern line beyond Rayong? 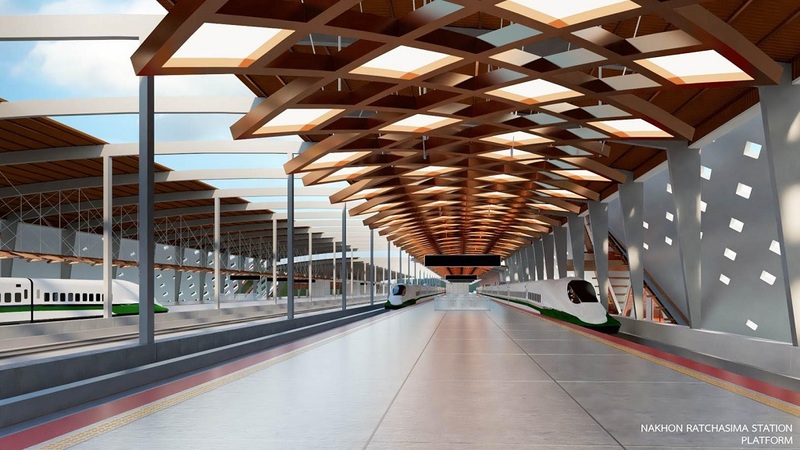 Within a few years, he said, double-track and high-speed railways would be able to connect with those in Laos, with a train service operating across the border between Trat in Thailand and Siem Reap and Battambang in Cambodia. While Laos has no choice due to the Chinese faction within Lao politburo, Vietnam has animosity with China that prevent further mix gauges to go along the Unification line (Hanoi - Saigon) and Myanmar is showing deep distrust toward China that stalls further connection with China ... Think about this. You seem having good knowledge about Vietnam's railways. in the north of Hanoi, most are dual gauge (Hanoi - Dong Dang on the border with Guangxi, China), Hanoi - Thai Nguyen, Hanoi - Ha Long (under construction but on hold) or standard gauge (Kep - Ha Long) and Kep - Thai Nguyen (unused now). However, the most important rail line in the north of Hanoi is metre gauge Haiphong - Hanoi - Lao Cai (on the border with Yunnan China) line (~400km). From Yen Vien station, freight need to transfer to metre-gauge trains to go south. And the metre gauge freight train to China need to transfer to standard gauge trains in Hekou North station (Hekou, Yunnan) to go further north to China. This limit the capacity. Last edited by maikhongtubo; April 1st, 2019 at 03:32 PM. It's still a plan, haven't conducted any feasibility study or preliminary design yet, still a long way to go.